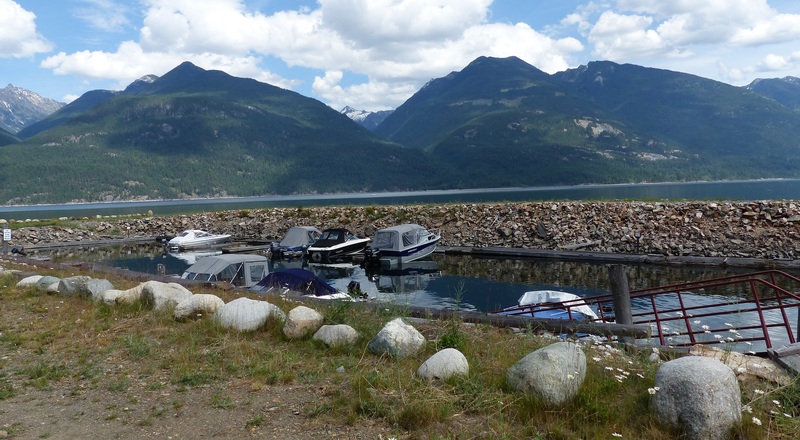 Kaslo Hotel | Frank & Donnis Travel Blog "the more we see the more there is to see"
Another day where we are reminded we are in Bear and Cougar country and how to avoid confrontation. We are also reminded Moose and Elk are also dangerous. Keep your distance. 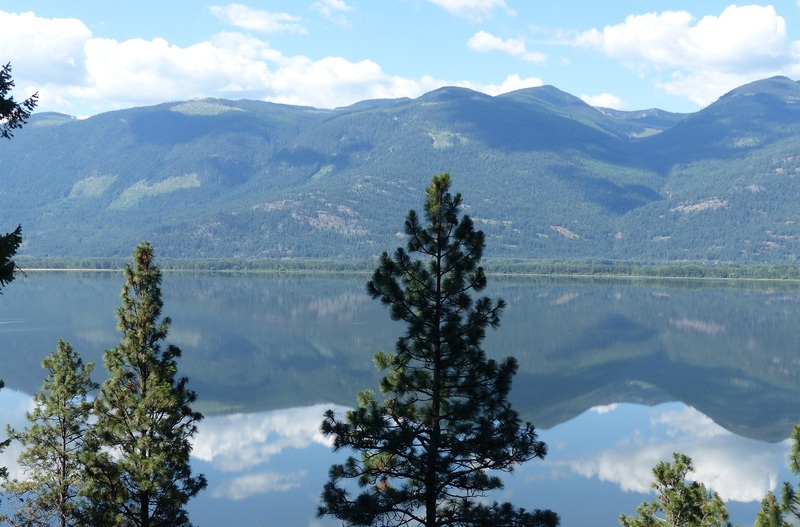 We left Creston and started back into the Kootenay Rockies again. 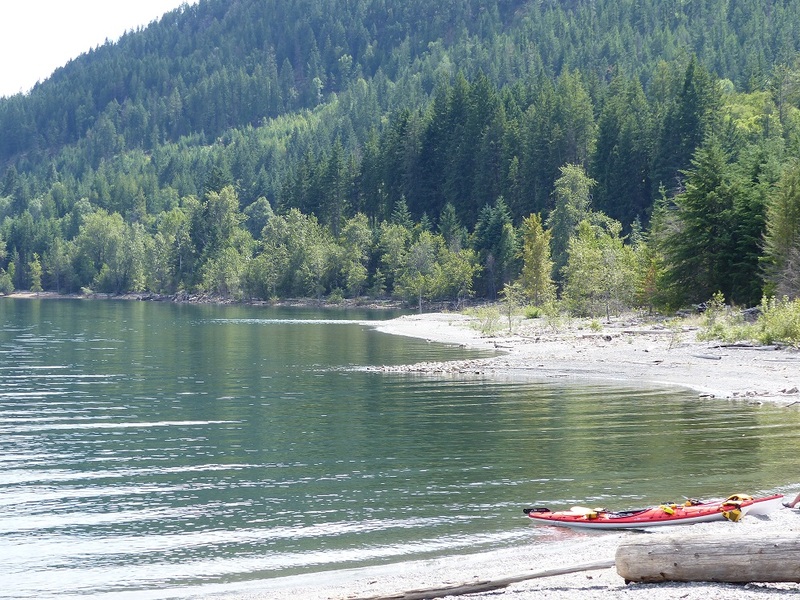 Today we mostly followed Kootenay Lake. It is a magestically large lake in a land of 10,000 lakes. The road moved along beside the lake, sometimes above and sometimes away from the lake but mostly it was there, on our left, in sight most of the way to Crawford Bay where we caught a ferry across the lake to Balfour. 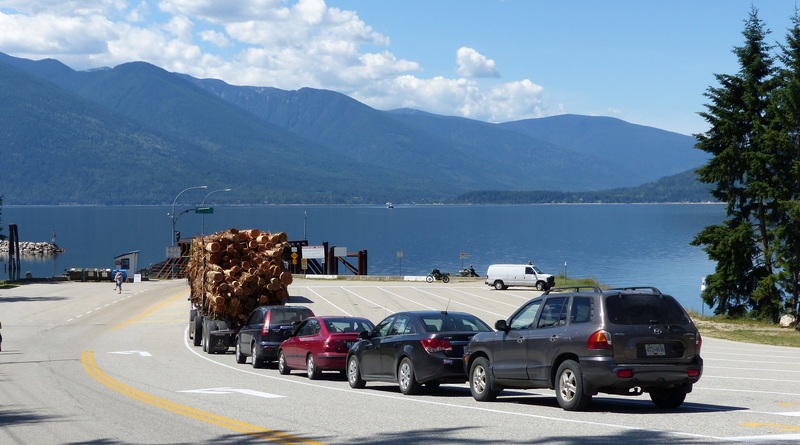 Waiting for the ferry at Crawfords Bay. Our Chevvy Cruze is the 2nd last car in the line. By time we boarded all three lanes were full. 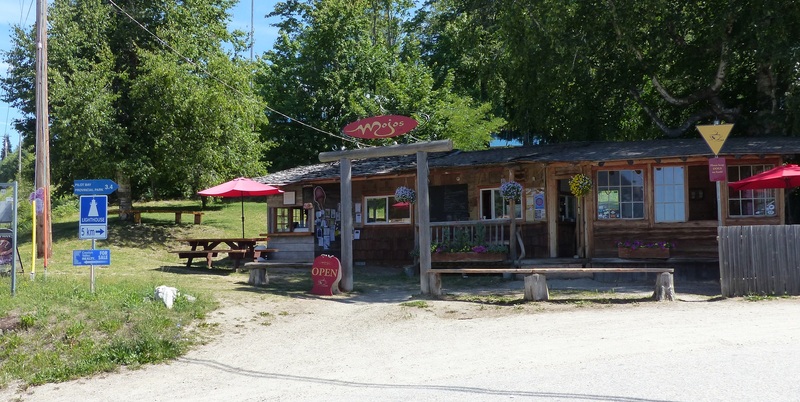 Log cabin coffee shop at Crawfords Bay. The inside and floors and walls are lined with unfinished timber. 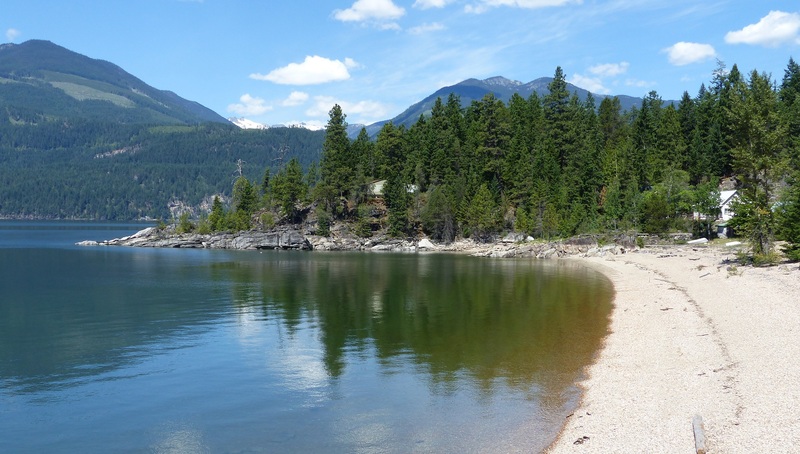 Crawfords Bay on Kootenay lake. Now the lake was on our right. 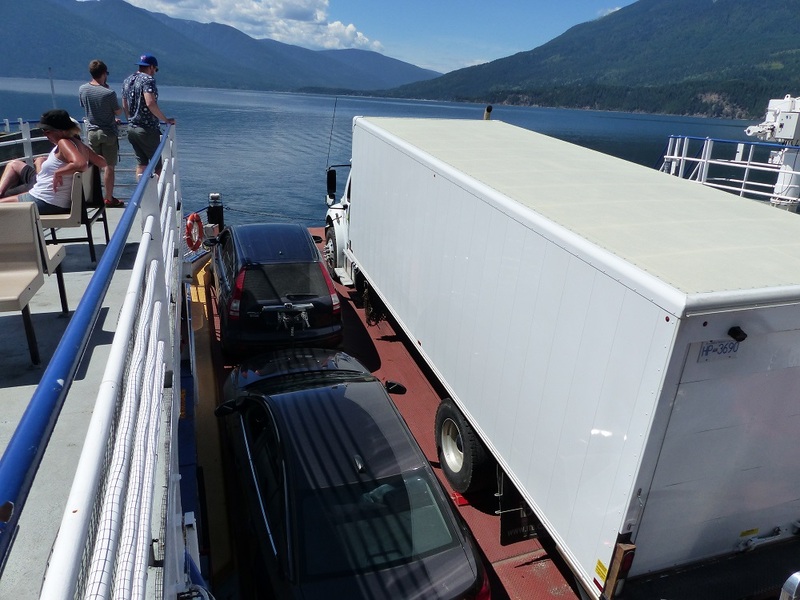 On the tiny ferry, cars and timber trucks are jammed so close together we were barely able to open a door. Tight squeeze on board the ferry. We now continued following the lake but now there were steep drops to the lake below with no guard rails. making the drive a cautious event. 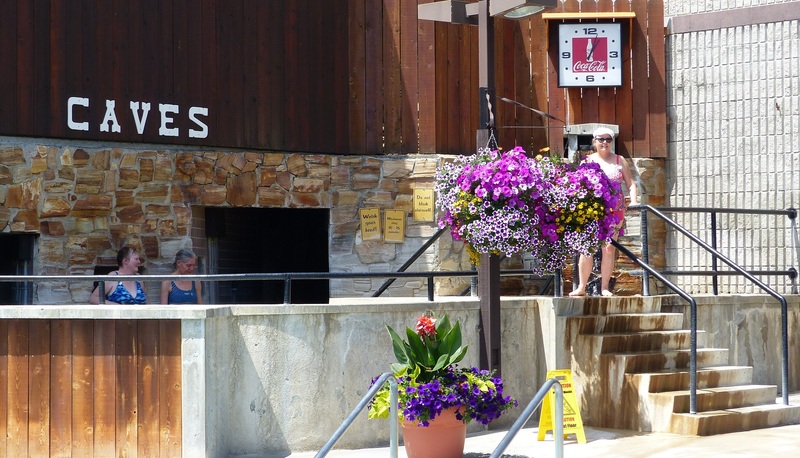 We stopped at Ainsworth Mineral Springs and enjoyed the three pools including the 40 degree heat of the caves. 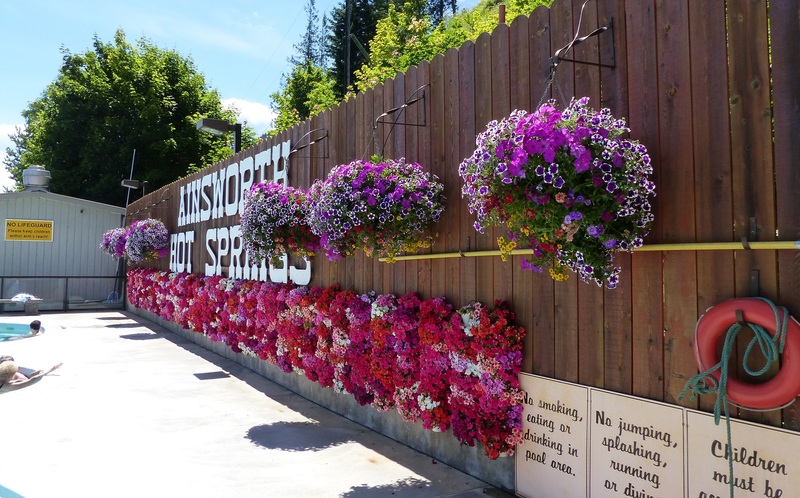 Hanging flower display at Ainsworth. Ainsworth Mineral Springs main pool. At 37 degrees it was comfortable. Reminders tell us to take water – often. A tunnel has been burrowed into the hillside and limestone has created stalactites on the ceiling while flowstone adorns the walls. With the constant flow of hot water on the cave floor, stalagmites cannot grow. 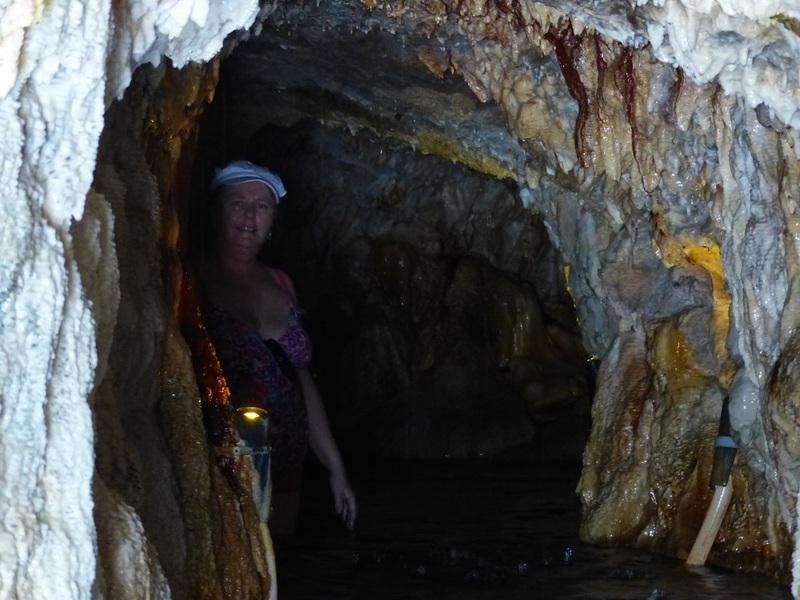 Walking through the cave in the hot water – no more than waist deep – creates a very humid sauna like, dimly lit cavern. Entrance to Ainsowrth Caves. At 40 degree water and high humidity it is suggested no more than ten minutes inside. Exiting into cool fresh air was delightful. Inside Ainsworth Caves. Note the stalactites and flow stone. We could only stand or sit for a few moments before the heat and humidity became claustrophobic. A sign at the beginning of the caves warned people with certain medical conditions should not enter. One of the conditions listed was high blood pressure. Hmmm! I walked through the caves three times and wondered why my heart began to race midway through. The rest of the time was spent in the ordinary hot pool. Donnis was brave enough to enter the Cool Pool. At 12° it was cold enough to take your breath away. We had a wonderful lunch in the dining room above the pools with a view across the lake and snow capped mountains on the other shore. 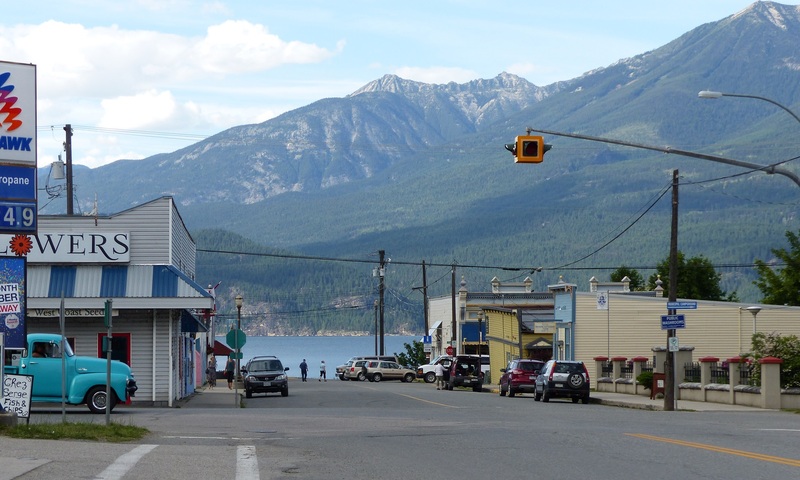 View of Kaslo with single traffic light which is always flashing amber. Dinner was at the local golf club which also had stunning views over the lakes and the mountains. The original 4 hole course, built in 1923 has been expanded to 9 holes. http://kaslogolf.org/ I am amazed at the number of golf clubs seen in our travels. It seems the smallest town boasts at least one golf club with amazing views on every green. Where does the money come from to finance such luxury? With a population of around 1,000 I can only wonder who and how it is financed. Hmmm other items we have noticed in our travels from small towns to big towns to cities. There are so many marina’s spread throughout the land. Inland waterways, lakes and oceans. RV Sales, RV Camps and RV Storage. All jam packed waiting for the summer to begin next week. How they make a living and how they make enough to cover maintenance and insurance is a mystery. 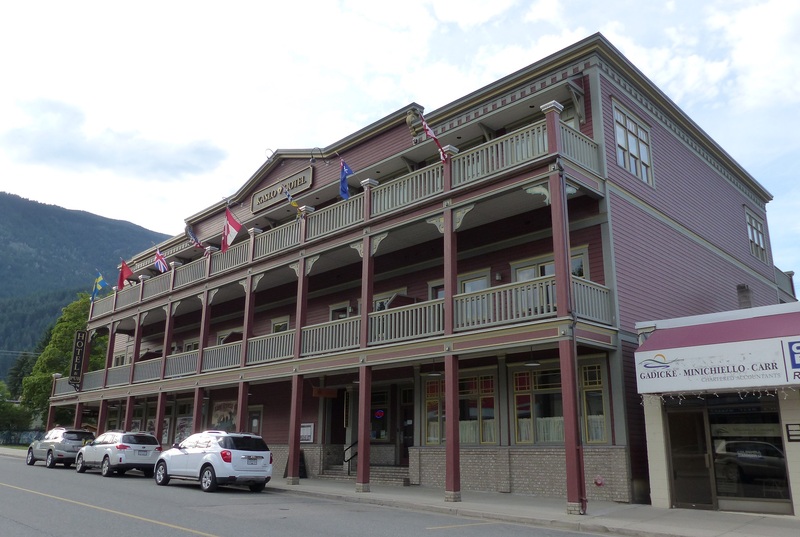 Much of the buildings in town are a century old but many are lovingly restored although the current usage bears little resemblance to the original. 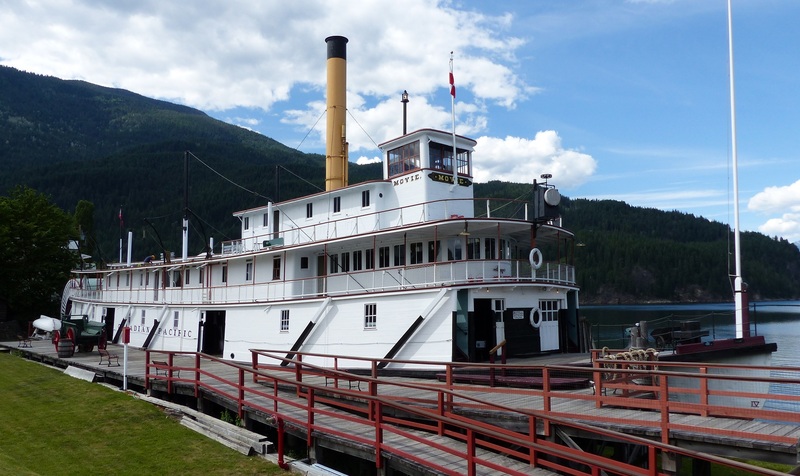 There is a wonderful stern paddle wheeler, the “MOYIE” built in 1898 and in use until 1957. https://en.wikipedia.org/wiki/Moyie_(sternwheeler) It was sold to the town but it cost more to lift it from the water where it stands today undergoing constant renovation. 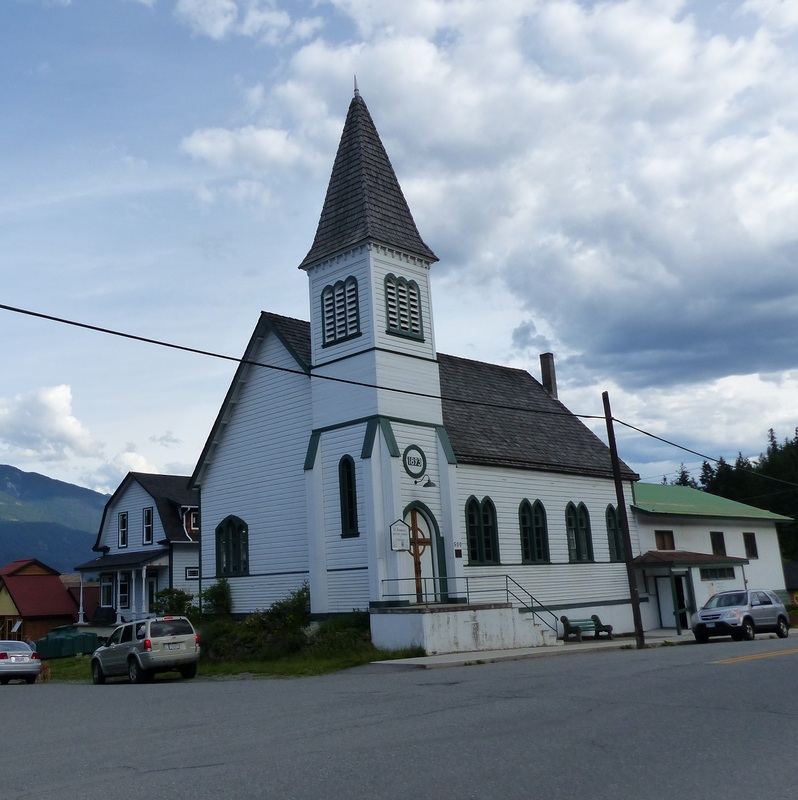 It is now classified as a National Historic Site. 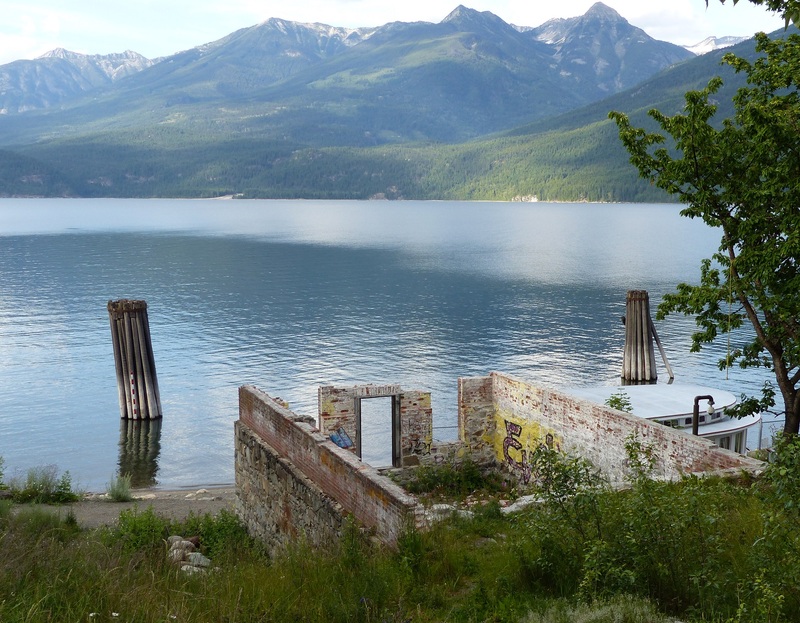 Ruins of a building at Kaslo. 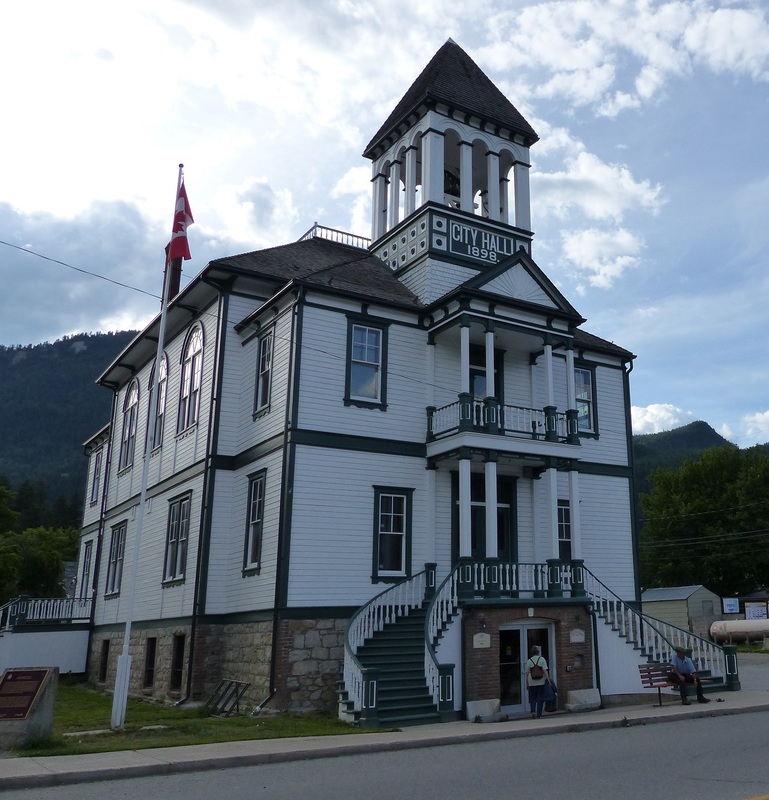 Next door was the Admiralty House and Kaslo Shipping Offices. except for the log cabin style of building at the golf club. This town like so many we have visited or passed through are seasonal trade. 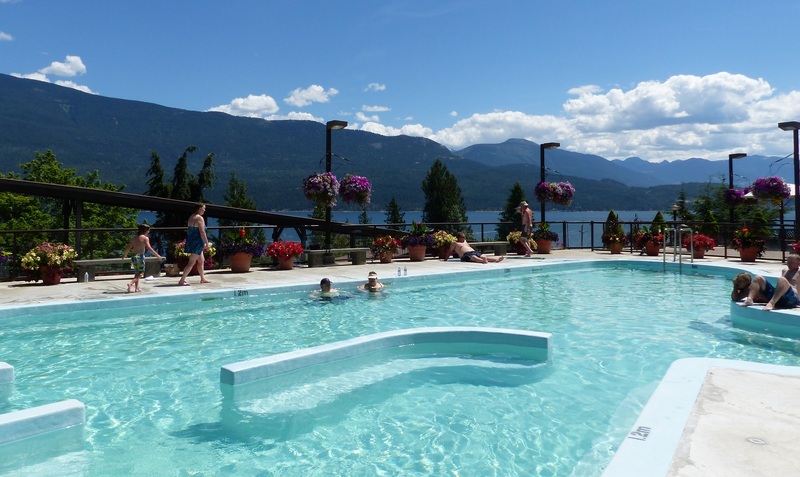 The summer season brings tourist to the lake who like to lay around in the sun and occasionally venture into the deep frigid waters of the thousands of lakes in British Columbia. There are no ski fields or winter trails so residents probably hibernate during winter. We found one shop which has found a way to stay in business all year round. 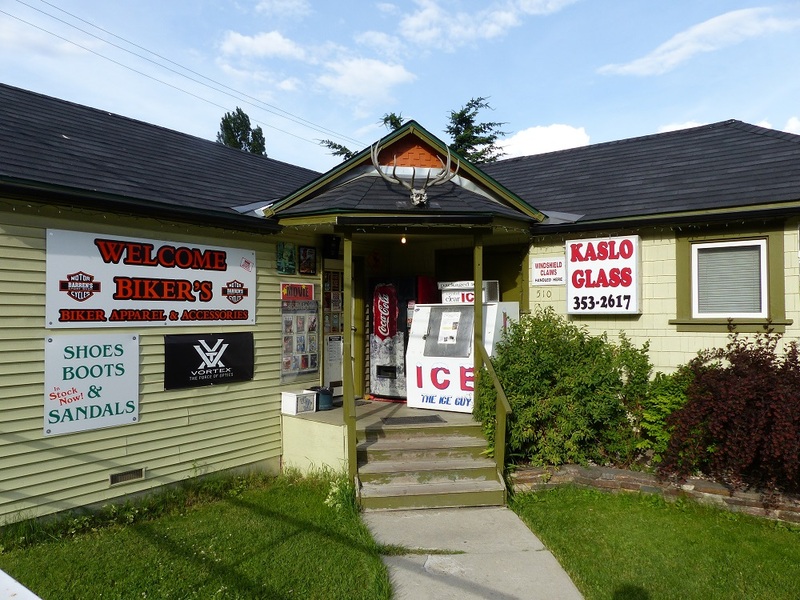 It is a Bikers shop, Harley Davidson agent, hunting shop, rifles guns ammo, archery, targets (look like deers), spotting scopes and binoculars, camouflage outfits, ice, soft drinks, movie rental, tattoos and the list goes on. This old town appealed to both of us. It felt comfortable and friendly except the store above – it was a bit redneck.